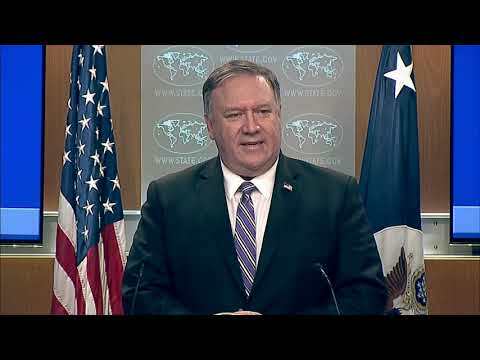 Washington, D.C. (AFP) – Top US diplomat Mike Pompeo on Friday tapped Elliot Abrams, a central figure in Ronald Reagan’s controversial anti-communist campaigns in Central America, as a new envoy to “restore democracy” in Venezuela. The veteran Republican foreign policy hand took charge of Latin America policy under Reagan, clashing with human rights groups as he channeled generous US support to anti-communist forces in Nicaragua and El Salvador. In one notorious incident, he initially dismissed the massacre of nearly 1,000 civilians by the Salvadoran army at El Mozote in 1981. Abrams later pleaded guilty to two misdemeanor counts of withholding information from Congress during the Iran-Contra scandal, when the Reagan administration secretly funded the Contra rebels in Nicaragua through arms sales to revolutionary Iran. Abrams later returned as a senior adviser to president George W. Bush in charge of human rights and the Middle East. But when Republicans returned to the White House with President Donald Trump’s election, Abrams was initially passed over as the new administration shut out critics of the unorthodox new leader. Pompeo said that Abrams would join him Saturday as the secretary of state heads to New York for a special UN Security Council session on Venezuela.